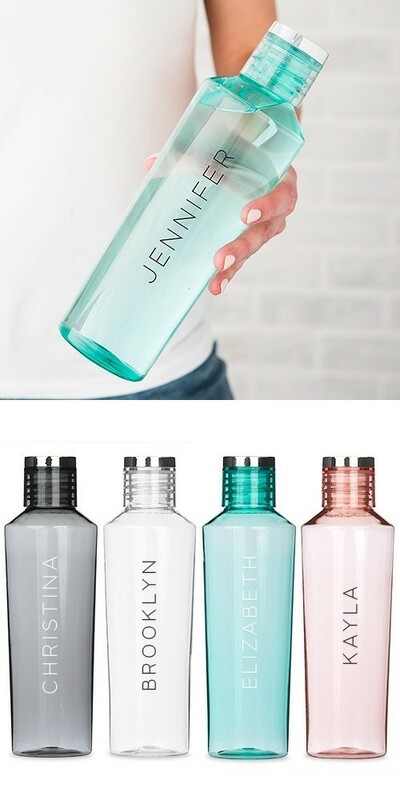 You'll be hydrating in style with this stylish BPA-free Tritan-plastic water bottle. Lightweight and trendy, it is a must-have for work, play or travel. This great drink bottle is perfect for the gym bag, backpack or cup holder. Add to the style of this travel bottle by adding a custom name or message in a contemporary vertical line print. PLEASE NOTE: Sold individually. Available in your choice of four (4) colors.